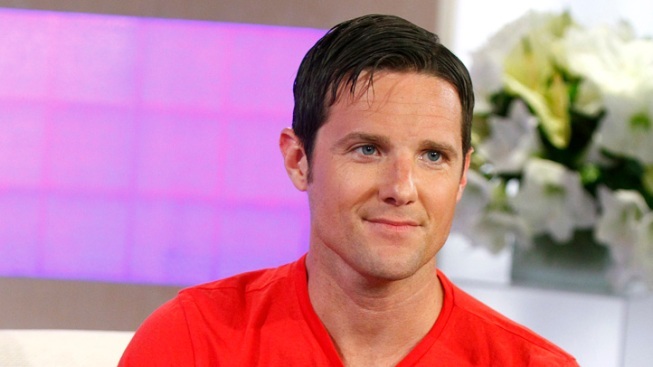 "Kony 2012" Filmmaker on Meltdown: "That Wasn't Me"
Jason Russell appeared on the TODAY Show in March 2012 before suffering a public meltdown. The co-founder of San Diego-based nonprofit Invisible Children has opened up to the media for the first time since he was detained by police in March when he was found screaming naked in Pacific Beach. Television Host Oprah Winfrey sat down with Jason Russell to discuss what his wife called “brief reactive psychosis” – a situation in which the person suffers from a shattered reality. “That wasn’t me,” Russell told Winfrey, according to a portion of the interview obtained by USA Today. “It’s really hard to explain if people who have never had an out-of-body experience, but it really wasn't me,” he said. “That wasn't me, that person on the street corner ranting and raving and naked is not me, that's not who I am." At the time of the incident, an SDPD spokesperson said he was acting very strange and bizarre. Witnesses allegedly saw Russell naked, pacing down the streets of Pacific Beach while he vandalized vehicles and screamed. Less than two weeks before the incident, Russell received national attention when his organization Invisible Children released the widely-watched “Kony 2012” video on YouTube. It has received more than 93 million views since it was posted on March 5. “Kony 2012” was celebrated on social media as viral campaign to bring awareness to the Lord's Resistance Army, a guerrilla group with a history of human rights abuses. But many also criticized the film, calling it an oversimplification of a complicated issue. Russell’s wife said the film brought a lot of attention to Russell and he took many of the criticisms made against the film personally. Russell said he remembered brief instances of the incident in Pacific Beach, but acknowledged the odd behavior. “[I was] slapping my hands on the ground as hard as I can. Just slapping them on the ground. Talking to myself. Ranting. Raving. Talking about good versus evil, God and the devil. I mean it was just very out of control,” he said in the interview. Russell talked to Oprah in a new episode of "Oprah's Next Chapter," which will air Sunday, Oct. 7. He is also scheduled to appear on NBC's "Today" show on Monday, Oct. 8.